The first learning cohort began in 1997 and in 1998 a 501C3 non-profit organization, called The Center for Emerging Leadership (CEL), was formed. In 2007 the group adopted the name, Women's Leadership Community (WLC), to reflect the ongoing community of practice that has emerged over the last 10 years. We have a core group of experienced facilitators who lead the Women In Leadership (WIL) Program; a board of directors that oversees all of the operations of The Center for Emerging Leadership, the umbrella organization for WIL and WLC; and an Alumnae Liaison Committee that sponsors, organizes and manages ongoing activities and learning events for the alumnae community now named Women's Leadership Community (WLC). To create more life-affirming work places and communities by increasing awareness of the archetypal feminine and supporting journeys of wholeness. "There has to be a better way." Ginny Belden-Charles﻿, Marcia Hyatt, and Debbie Ackley sat around a kitchen table in 1991 and began a learning journey to better understand the feminine archetype and leadership. By the time they gathered at that table they had each achieved success in their careers. But along with success came awareness of the price they had paid physically, emotionally, and spiritually. And so they set out to discover a healthier, more life-affirming way to work. Their exploration led them into the depths of their souls, discovering new principles and practices for reclaiming the feminine in their lives and in their work. 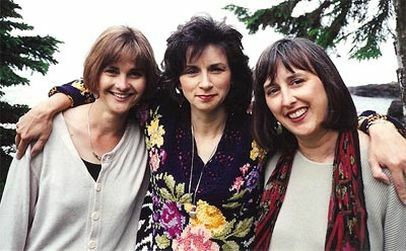 In 1997 they invited other women to join them in creating a learning community of practice, launching the first year of Women in Leadership (WIL). In 1998 they formed The Center for Emerging Leadership (CEL) and the rings of the circle began to grow. Those rings have become the Women's Leadership Community (WLC), a group of WIL Alumnae -- women leaders who are invited to stay engaged in an ongoing learning journey, through monthly circles, retreats and other learning events put on by and for the community. Marcia Hyatt bio, see Facilitators. Dr. Ginny Belden-Charles is a consultant and organization leadership coach from St. Paul MN. She works with socially conscious companies and facilitates cross-sector groups addressing social change. She cofounded the Taos Institute master’s program in relational leading, and taught Leading Organization Change for St. Catherine’s University. She also served as learning group coach for Pepperdine’s MS in Organization Development and is an advisor for the Taos Institute PhD program. Ginny facilitated the WIL program and guided the development of the WLC community and its board of directors for the first 10 years of CEL. She participates as an advisor and periodic contributor to WLC. Debbie Ackley is a poet and consultant from Toronto, Ontario. She published a book of poetry in 2007 called Born From Silence. Debbie has taught change management and leadership development at the Schulich School of Business and York University. While Debbie is no longer an active member of WLC, she partnered, taught and inspired us to create an organization that is both "emergent" and "self-organizing." She taught our first Study Circle in 1999 to explore new concepts in leadership and organization that we have put into practice over the last ten years. Debbie is now devoting her time to her poetry and further development of leadership principles. Ginny Belden-Charles and Marcia Hyatt continue to be active members of WLC and facilitators of WIL.